Does your home rely on a septic system? If so, you might think that you don’t need to have septic tank pumping done if you aren’t currently experiencing any problems with your system. But the truth is that you should have regular septic tank pumping done to keep your system working properly. If you fail to do it, you could run into serious problems down the line. Solid materials can actually settle at the bottom of your septic tank, and when they do, they can form a layer of sludge that will cut down on the amount of space in your tank. That sludge could spell disaster in the future. 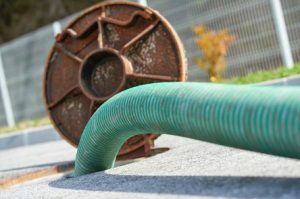 So how often should you pump your septic tank? It depends on a couple of factors. If you use a garbage disposal in your home, you should pump your septic tank at least once every year. Reason being, you are likely putting a large number of solid materials into your tank, and those materials will form sludge that will need to be removed more often. However, if you don’t have a garbage disposal, you can usually wait and have your septic tank pumped about once every three years. When you have a septic tank pumped, you should make sure you work with a licensed company that is qualified to handle the job. The company should be able to pump sludge out of your tank, and they should also be able to tell you about the condition of your tank and any other potential problems. They should even be able to offer cleaning services for your tank, which can prevent inlets, outlets, and your drainfield from getting clogged. Carolina Septic Pro is a company you can trust for your septic tank pumping needs. We can come to your home, inspect your septic tank for you, and pump it if it needs to be pumped. We can also complete many other septic system services for you. Call us at 704-626-6622 today to set up an appointment.